Bunk beds don’t have to be synonymous with bulky wooden beasts. 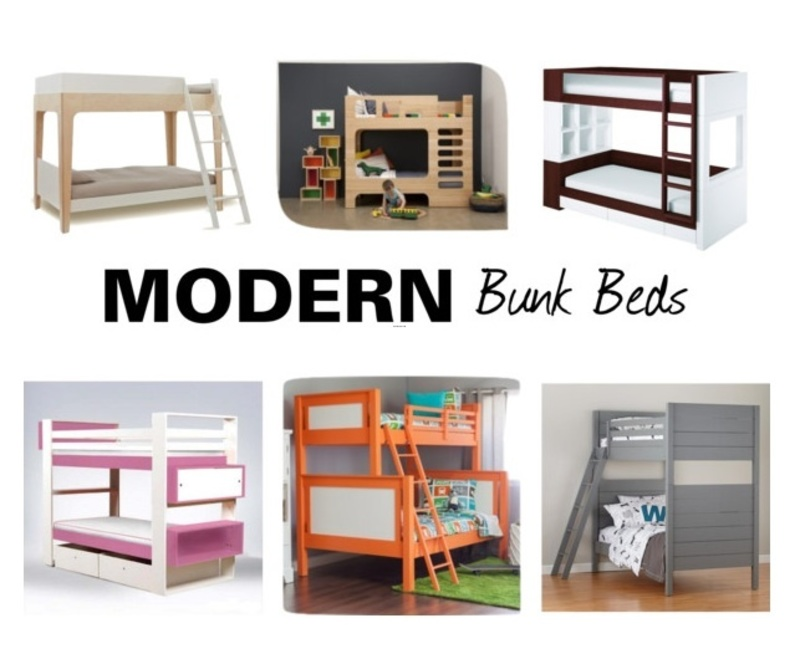 Whether you need your brood to bunk together or just like the idea of them sharing a room, we love these sleek, modern takes on these space-saving beds. Nurseryworks Duet Bunk Beds in Dark Catalpa – I love the sleek design and built-in storage. Plus you can choose from two under-bed options: three large drawers or a roll-out trundle. Oeuf Perch Bunk Bed – The clean lines and serene colors of this bunk will bring calm to any kids’ room – even if the floor is covered with blocks and doll shoes. ducduc Austin Bunk Bed – Those looking for a pop of color will love ducduc’s selection of vibrant bunk bed hues to choose from including green, orange, pink, red and more. Two storage drawers underneath and dual cubies on the end help make it practical and pretty.